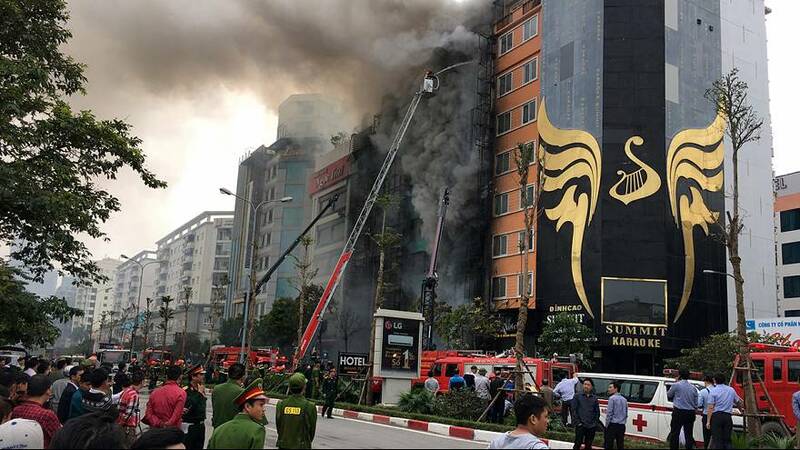 At least 13 people have been killed in a fire at a karaoke bar in Hanoi. The Vietnamese prime minister has demanded an investigation, calling for bars and restaurants which flout safety standards to be closed down. The fire began around lunchtime on Tuesday in a crowded residential area on the outskirts of the city. It quickly spread to engulf three neighbouring houses. The government said it took over two hours for the fire service to put out the flames to allow rescuers to search for victims.